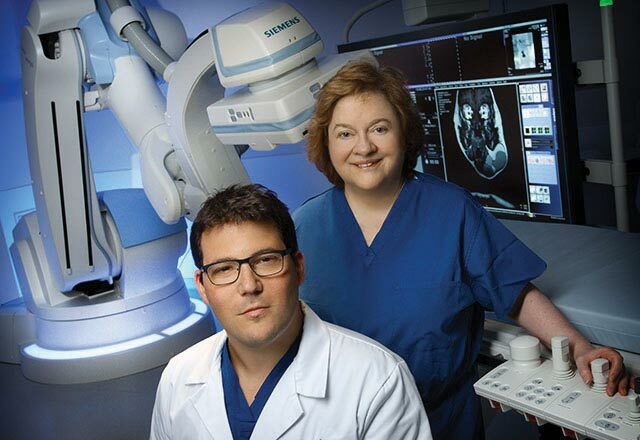 For more than 17 years, our board-certified, fellowship-trained interventional radiologists have been providing Northwest Indiana with innovative image-guided care and the latest in minimally invasive interventional technologies. Interventional radiology is a dynamic and growing field, with new and minimally invasive therapies added each year. Considering the risks and costs associated with extended hospital stays, we are confident you will find many of these options appealing, with outcomes that are comparable or better than their surgical alternatives. The Vascular & Interventional Institute is designed to provide a more comfortable and convenient setting for pre-procedure consultation and post-procedure examination. In addition, some treatments and pain management therapies are performed right in our outpatient centers. With convenient locations throughout Northwest Indiana, the region’s most progressive interventional radiology team, and a commitment to customer service uncommon in healthcare today, The Vascular & Interventional Institute may have just the treatment option you’ve been looking for. We invite you to contact us with questions or request information you can share with your doctor.